Our seasonal fruit of the month is the grapefruit; low in calories (when not laden with sugar), the grapefruit is an excellent source of vitamin C and A. It aids digestion, reduces risk of heart related conditions and cancers. 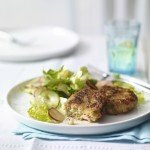 It’s also a versatile citrus fruit that can accompany savoury and sweet dishes. Cut the melons in half; scoop out the seeds and discard. Using a small, sharp knife remove the flesh from both halves and cut into cubes. Place in a large bowl. Turn the melon shells upside down on kitchen paper and leave to drain. Segment the grapefruit over a bowl, to reserve the juice. First cut a slice off the top and bottom. Then, using a small, sharp knife or serrated fruit knife cut from top to bottom to remove the skin and pith. Now cut between the membrane of each segment and remove. Roughly chop the segments and add to the melon pieces, reserving 2 tablespoons of the juice. In a small bowl, mix together the ginger, honey and reserved grapefruit juice. 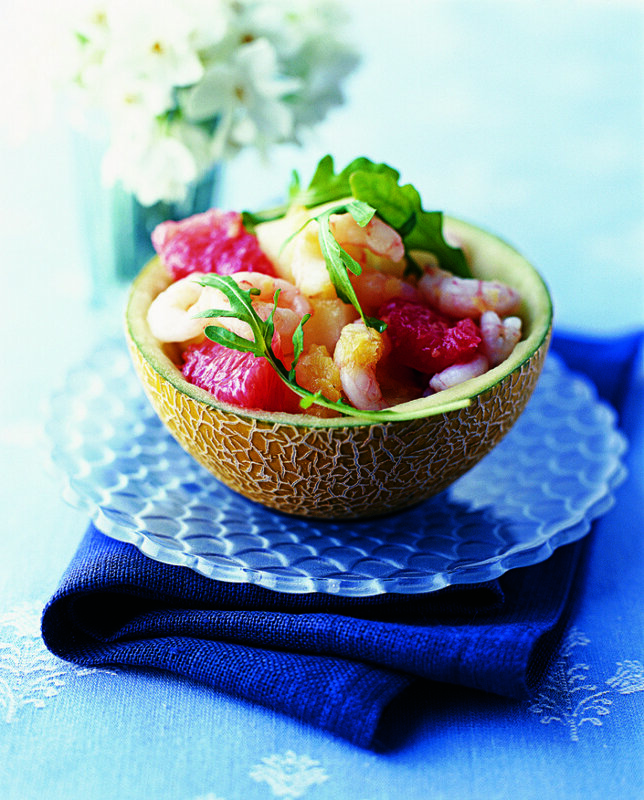 Stir in the melon and grapefruit pieces, and the prawns. Place a little of the roquette in the base of each melon shell, reserving a few leaves to garnish. 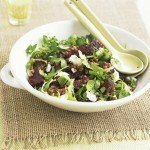 Top with the fruit and prawn mixture, spooning over any remaining dressing. Garnish with the reserved roquette and serve. Prepare the filling up to 2 hours in advance to allow the flavours to develop. Cover and chill then add to the shells when ready to serve. 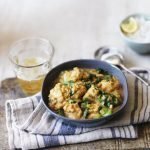 This recipe was provided by Waitrose, if you like this, we’re sure you’ll like their recipe pages. It’s full of inspiration.